Join our Facebook group and keep up with Boquete Drummer news. 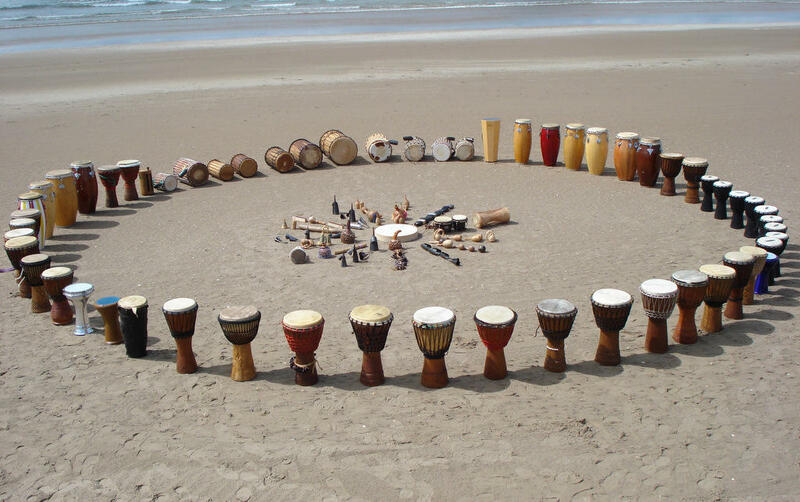 A Pink Full Moon Drum and Jam is upon us this coming Wednesday, the 17th, at 6 pm. Stone Cabins once again hosts Boquete Drummers for an evening of high energy drumming, socializing and friendships. Casa Viejo Restaurant will be serving chicken, veggie and cheese Quesadillas for $2, sausage spirals on a stick for $1 (I sampled these and they get a thumbs up) and Oatmeal and Raisin cookies for fifty cents! Stop by and feed the flames of your drumming passion! You can also order from their menu. All Boquete Drummers drum circles are free and fun for everyone. Loaner drums are available.